477 Toledo Beach Dr Hemphill, TX. | MLS# 76654 | Toledo Bend Express Realty; Toledo Bend Real Estate Professional; Waterfront property and Lake Homes for sale at Toledo Bend and Sam Rayburn Lake! Vacation or retire; Certified Retirement Community in Texas Forest Country! Enjoy golf, fishing, ATV trails. TWO FOR THE PRICE OF ONE! Fully Furnished 2 Bed 1 Bath Home, & Fully Furnished 2 Bed 1 Bath 2009 Mobile Home! 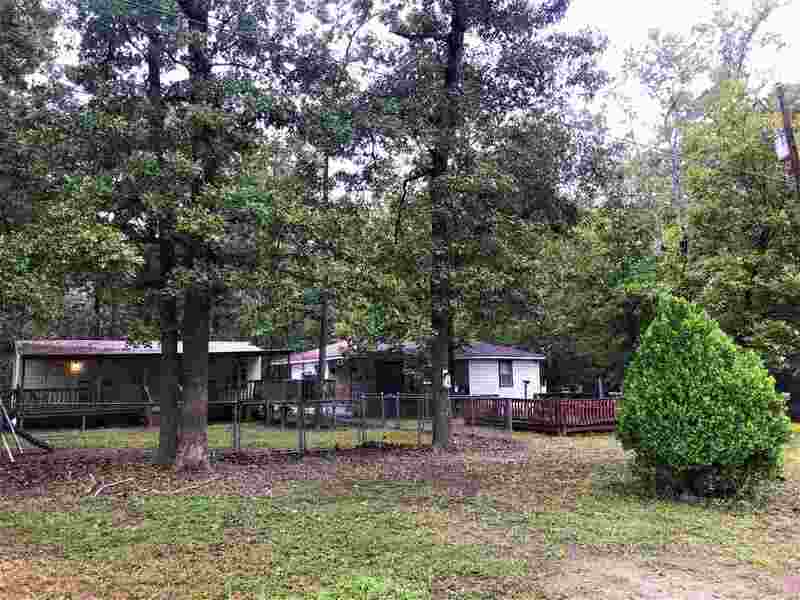 2 lots, fenced Yard, Large separate Patio, & large covered porches on both houses. Great rental property opportunity! Located off of 3315 close to general store, hardware store, gas and food! Great fishing area on the beautiful Lake Toledo Bend!